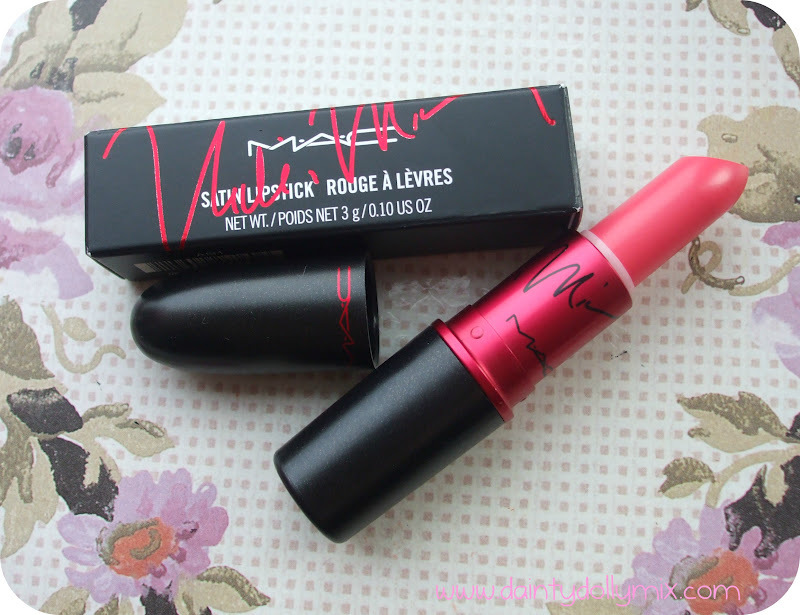 A few days ago saw the pre-release of the new MAC Viva Glam lipstick launch this time around by Nicki Minaj. If you signed up to the website, MAC would email you a code a few days earlier than normal release so you could bag this lipstick before anyone else, and i managed to get two! 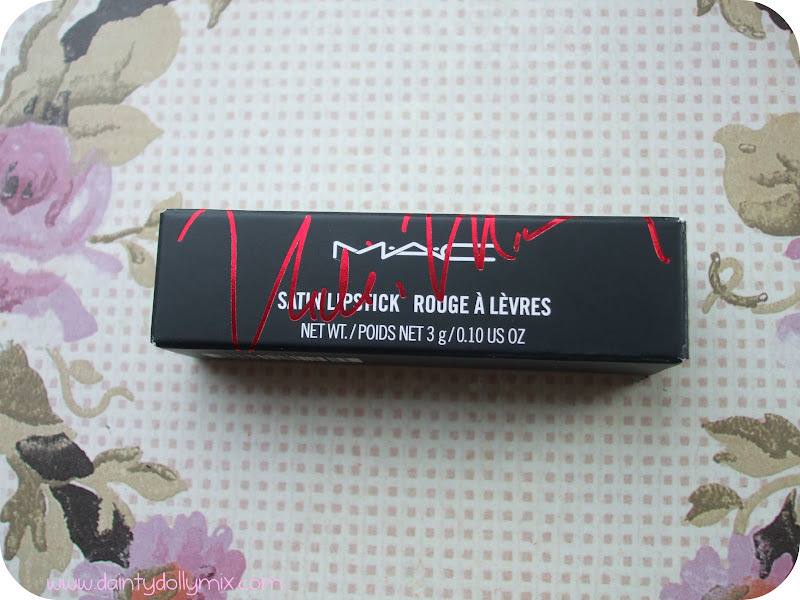 It is in the usual MAC Black lipstick casing however with a red rim and writing instead of silver and has Nicki Minaj's signature on the inside and box. 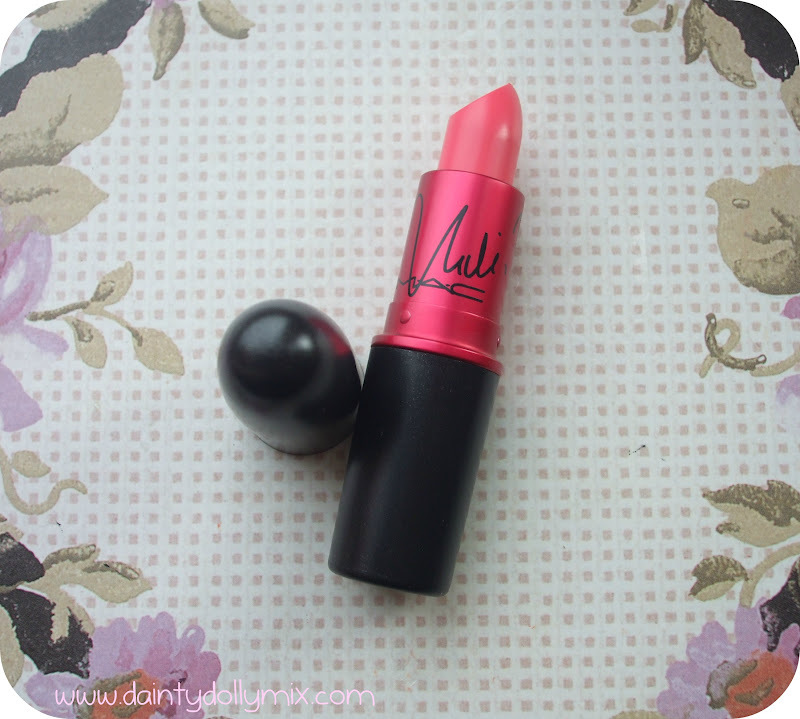 Another thing is that all proceeds made from this lipstick go straight to the MAC aids funds, so you are buying a lippie and giving to charity all at the same time! I do absolutely love Nicki Minaj, the colour looked perfect and helping charity at the same time was an absolute winner for me and i knew that i ha to have this lipstick. 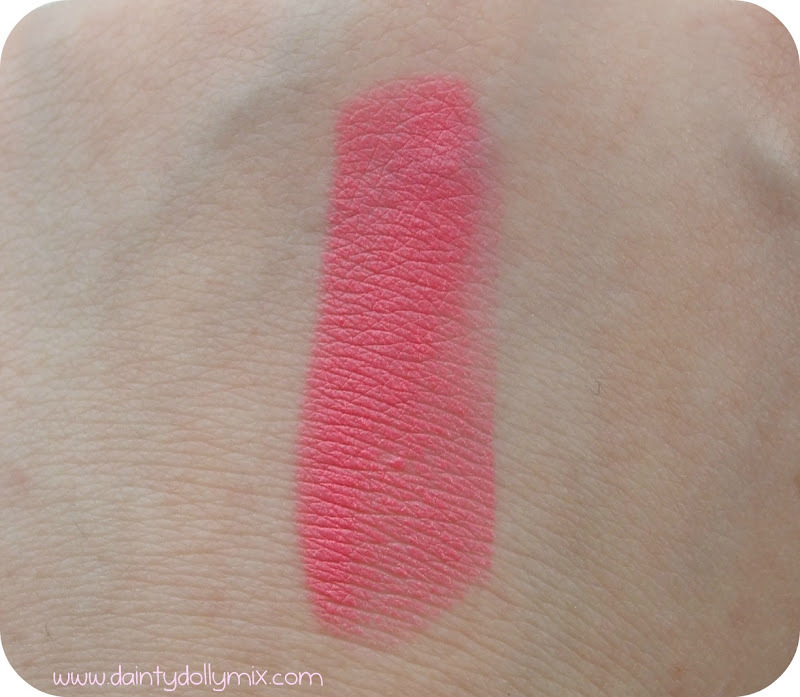 However, i was a little eager and ordered two lipsticks before even ordering the one! When wearing, I have found that it is a little bit too bright to get away with wearing everyday but absolutely perfect for a night out, however i do wish i just bought the one! It would have been more than enough and they last a life time anyway! Viva Glam Nicki is described as a bright yellow pick and is pretty similar to the permanent shade MAC Chatterbox, which i didnt really get on with. I would personally say it is a bright, coral pink that would be perfect for summer and would suit most people and skin tones. This is super bright and opaque on the lips and has a satin finish, which isnt too matte and quite glossy on the lips. This seemed to last really well even with eating and drinking. 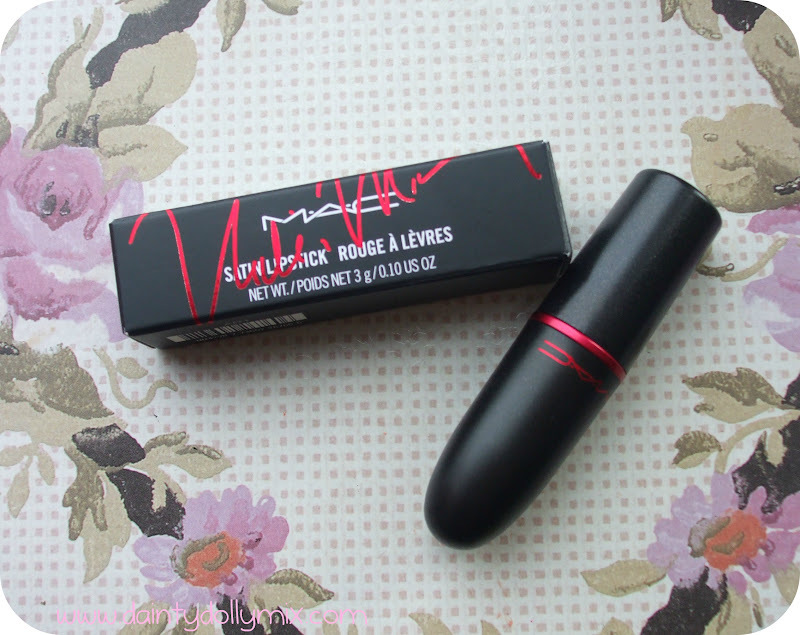 As with all MAC Lipsticks this will retail for £13.50. 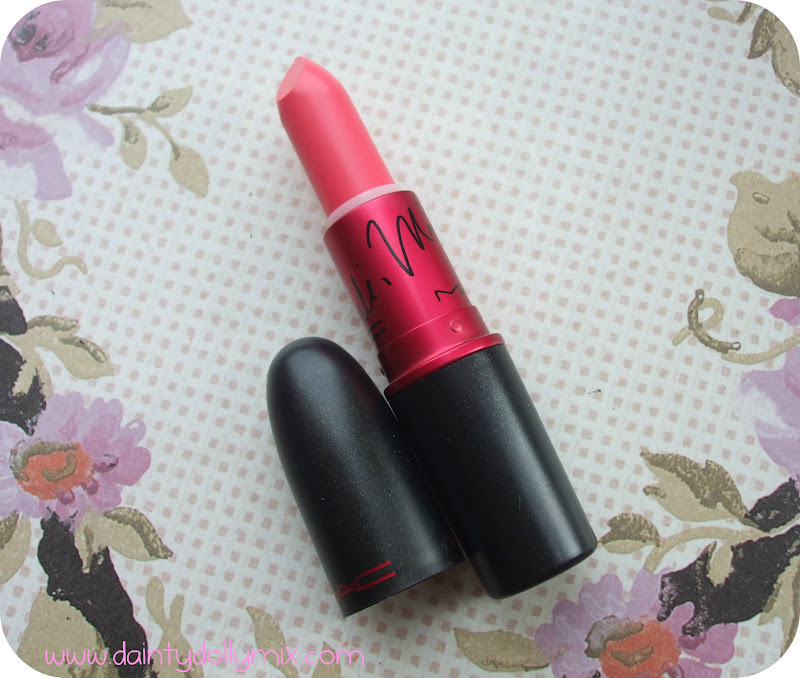 MAC Viva Glam Nicki will be available to buy nationwide in the UK at MAC Counters and on the MAC Website for a full year. Will you be buying yourself one (or two)? Nice colour! Perfect for the summer! Love it! 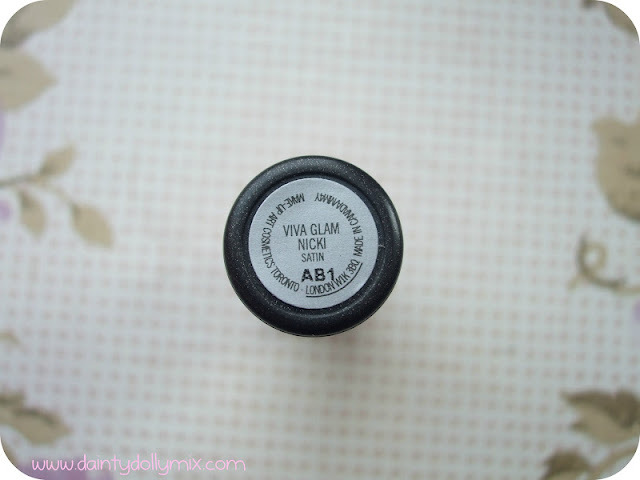 Looks like an amazing summer shade and I'm always meanig to buy Viva Glam lipsticks so that the mooney goes to charity! Beautiful colour! 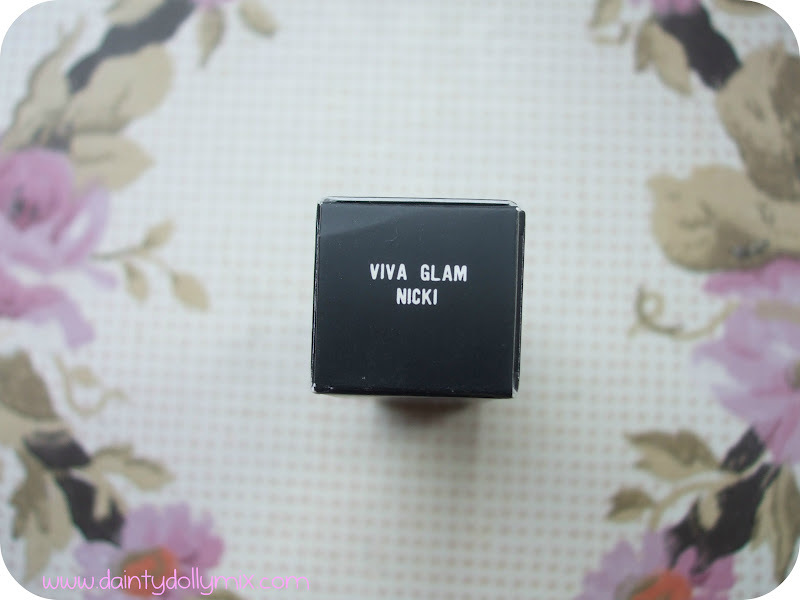 Chatterbox is one of my favourite lipstick shades ever, so I neeeeed to try this out! So pretty! I think I will be forced to buy this! Oh I really want to get my hands on this! Such a gorgeous colour! Lovely photos! It's such a pretty colour. love this! so happy to see a blog on it as a i was dying to see a swatch! 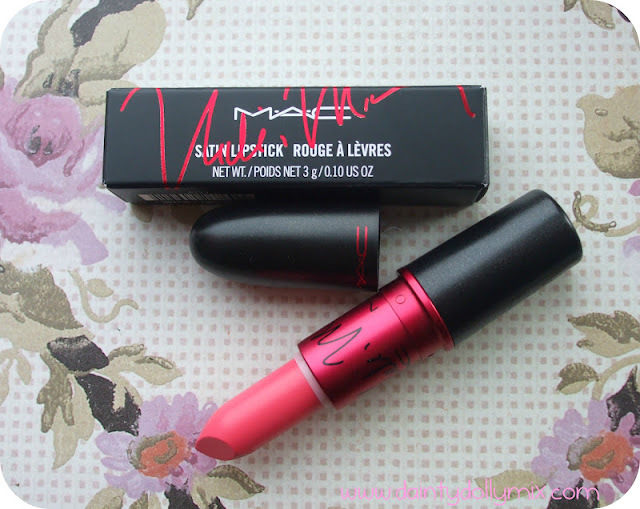 I need this lipstick! Ooo I think I'm gonna pass on this one. I'm after the 'watch me simmer' one!